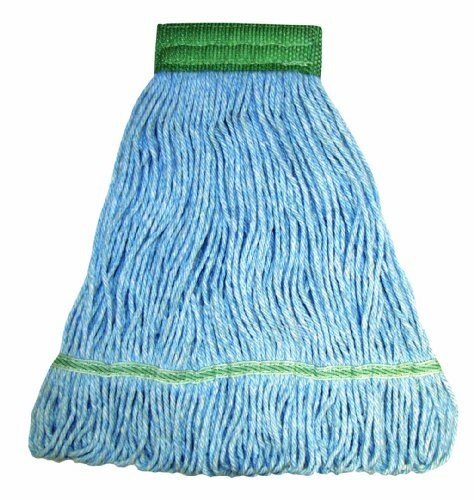 This commercial cotton mop is perfect for general purpose cleaning. Sewn English/Spanish tailband. Blue color yarn. 5" Mesh band.